This four week course is for women that have been riding for few years that are comfortable on blue trails and can do some black run and with strong intermediate riding skills that are looking to add style and flair to their riding. 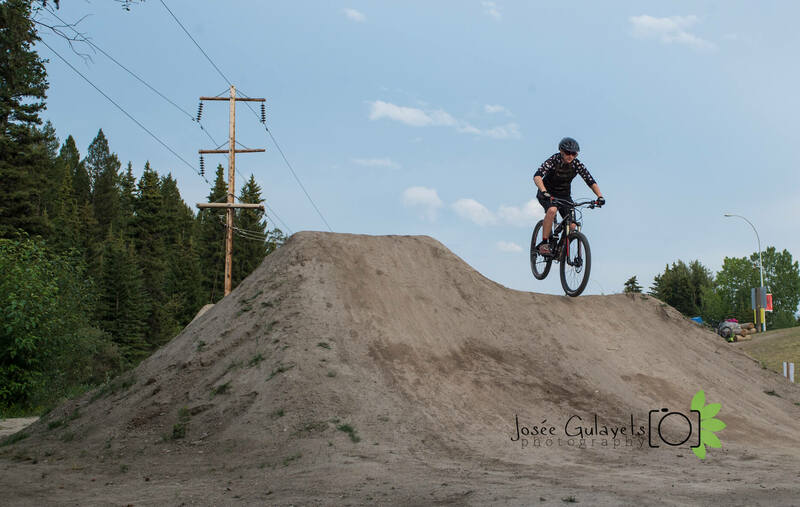 This five week course is for women that have been riding for few years that are comfortable on blue trails and can do some black run and with strong intermediate riding skills that are looking to add style and flair to their riding. A fun completed course filled with a range of maneuverers that will improve the way you handle your bike while connecting with like-minded Shred Sisters. This course is one evening per week, for five weeks. During each week we will focus on a different maneuverer. The lesson will start with an hour of skills development followed by a trail ride to apply what we’ve learned. Our five week maneuvering program is the perfect way to improve your skills, add some style to your riding, be more confident on your bike, and have fun with your new Shred Sisters friends! *Pre-Requisite: Must be able to lift front, rear and both wheel at the same time. Rider must be comfortable on all blue trails. • This course can be offered to any bike clubs or groups wishing to learn mountain biking skills with their peers. I was always afraid of the bike park. Skinnies, teeter totters, jumps those were the realm of the ‘expert’ riders or the crazy kids who have no fear of getting hurt! After my weekend course I find myself looking for features to roll over, ride off of or jump. I am already planning my next session to keep learning more! Mountain Biking is now more than just following friends on trails. Thanks Shred Sisters! Great course! Lynsey was a great instructor. Seeing her performing on some of the wooden structures and showing us jumps and other skills was inspiring. This course absolutely increased my confidence in how to manage my bike and get what I want from it. I have highly recommended this course to others already and will be taking other course with Shred Sisters as my skill level increases. Thank you for an awesome program!